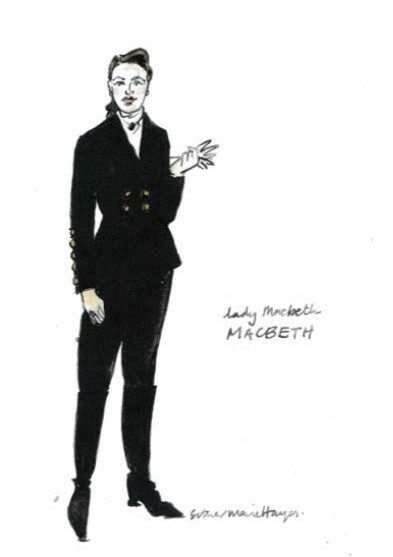 Esther Marie Hayes sheds some light on the inspirations behind her costume design for Macbeth. 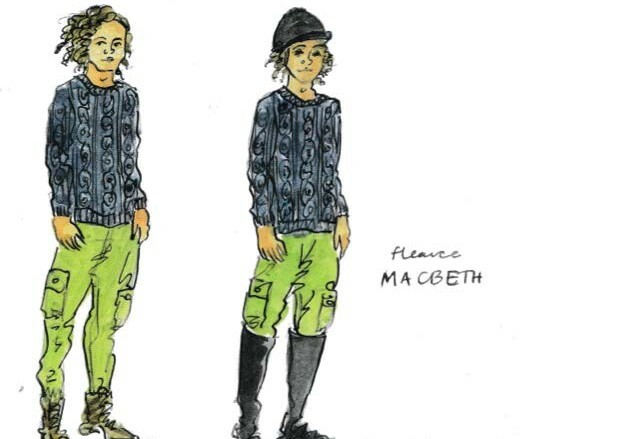 Costume designer Esther Marie Hayes didn’t study Shakespeare at school. However, throughout her early years as a costume designer, she has undergone a thorough education of the world’s most famous playwright. 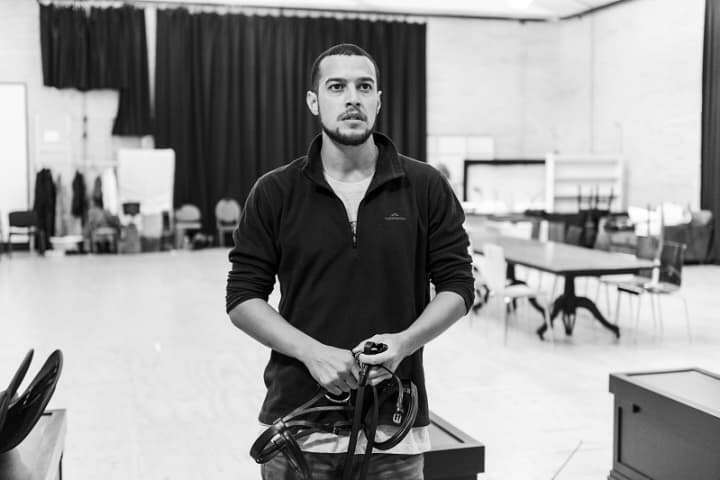 Macbeth marks Esther’s third Shakespearean play for Melbourne Theatre Company, working alongside the same creative team under the direction of Simon Phillips for both Richard III in 2010 and Hamlet in 2011. 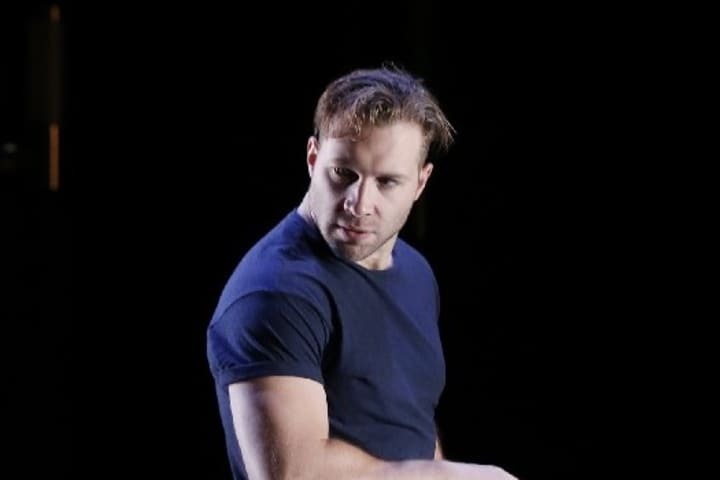 Simon appointed Esther as a fresh-faced VCA graduate to design costumes for Joanna Murray-Smith’s 2009 play Rockabye. 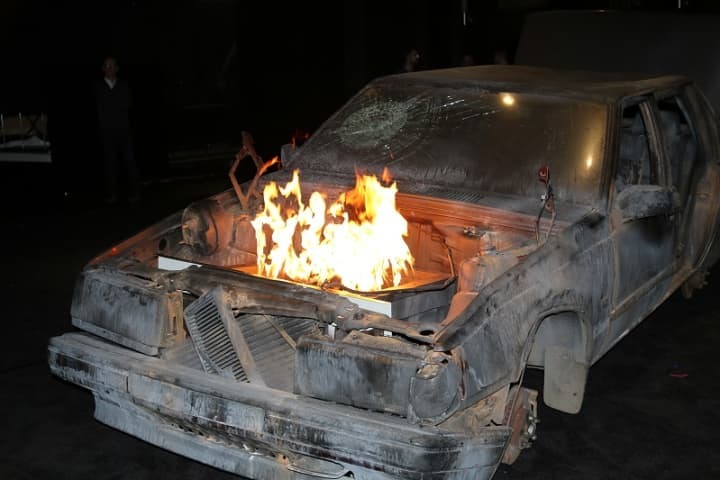 From there, the two developed a strong theatrical language and aesthetic that would inform their creative collaborations. 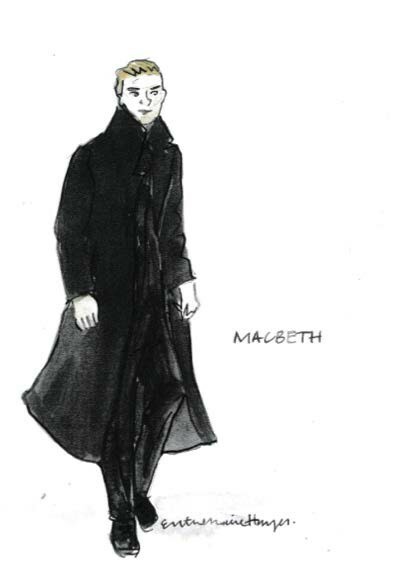 Esther’s costume design concept for Macbeth began with an analysis of how they contemporised their last Shakespearean works together. ‘All three are modern adaptations. 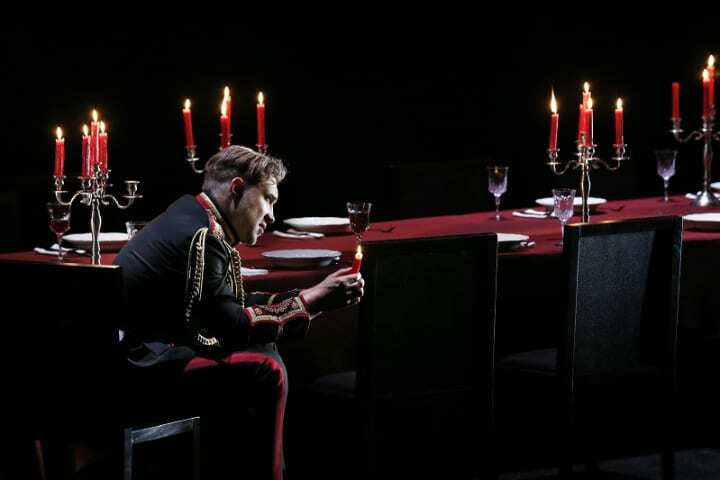 Richard III was political, Hamlet was political and militaristic, and Macbeth is militaristic,’ Esther says. 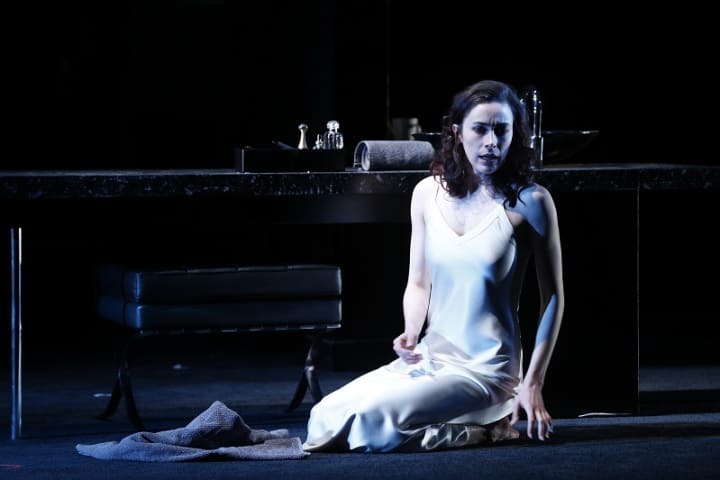 All three shows involve a considerable amount of blood, which for a costume designer, is bound to present logistical problems. With a cast of 13 and numerous cast members playing multiple characters, Esther’s biggest concern was designing costumes that could accommodate all the necessary quick changes required to tell this multifaceted story. Esther’s research started with her own family history, but delved into much deeper territory when she broke down the role of each character; modernising the narrative to bring it into the 21st century. 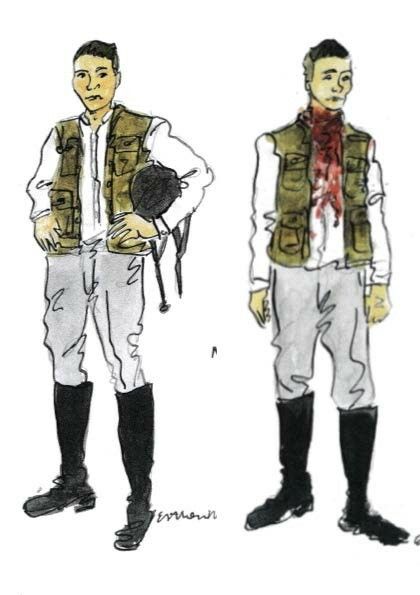 ‘The set design was already completed, so I was responding to that initially, before looking at each individual character.’ She began researching the uniforms of various authorities in different parts of the world – the police force in Mexico and swat teams in France; army generals in the Middle East; humanitarian aid workers in war zones and first responders at terrorist attacks; as well as foot soldiers in small nations of Europe. She looked at the dress codes of French horse-riding teams, and the formal dinner garments of the King of Jordan and his wife. 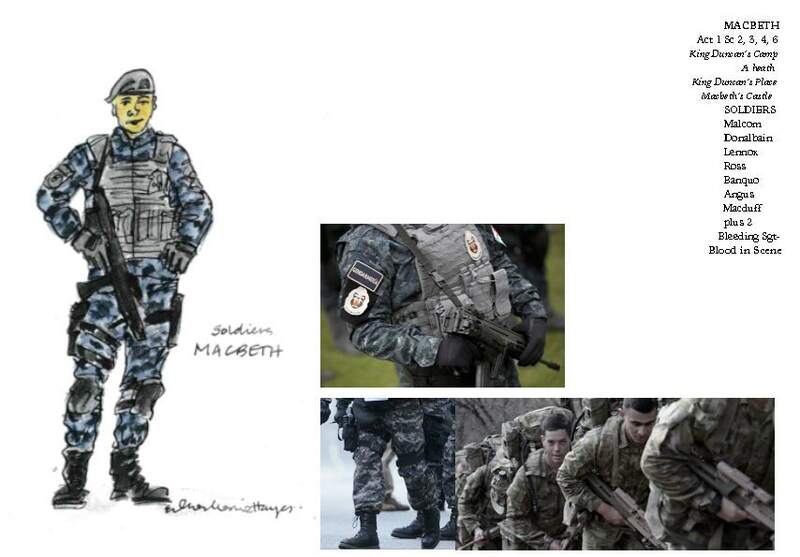 Regulation Army pyjamas in the United States and the balaclavas and bandannas on the heads of hate-crime groups and gangsters were also pinned to the inspiration costume board. Esther looked at crime dramas The Night Manager and Orphan Black for additional research. The inauguration clothes of American presidents and first ladies also made their way onto the board, along with Oscar worthy ball gowns. 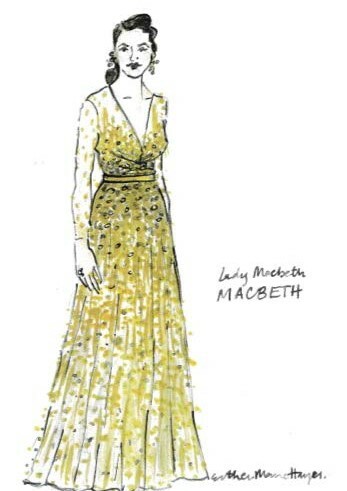 Alexander McQueen’s sheer, figure-hugging lines and surplus of sequins was the first port of call when it came to designing Lady Macbeth’s ceremonial gown.